Flavor Flav received two citations Friday (July 4) in response to neighbor complaints contacting the Las Vegas Metro Police after the rapper set off “three or four pallets of fireworks stacked four feet high,” according to a story on findlaw.com. The police decided not to arrest Flavor Flav, instead asking him to end the fireworks and clear the scene. The Public Enemy rapper was reportedly cooperative with police and his neighbors in obliging to the clear out the street on which the fireworks were located. Some reports, such as ET, said that the confiscated fireworks weighed more than 100 pounds, while TMZ reported the explosives weighed more than 1,000 pounds. Regardless, the reports say that a special unit was needed to dispose of the fireworks. 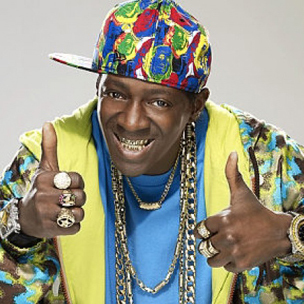 Since 2009, Flavor Flav has reportedly spent thousands of dollars each year for his own 4th of July celebrations. Last year, reported TMZ, the rapper had $8,000 dollars worth of fireworks, which were confiscated.